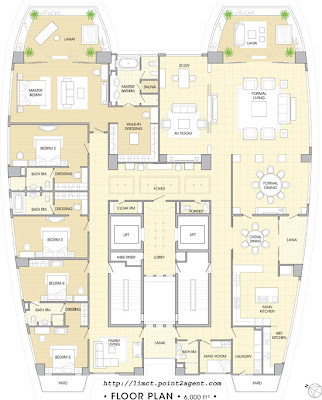 The Cove Condominium is a new luxury beach front condominium with 4 High rise towers & with full condo facilities including a swimming pool, sauna and gym. Also provided 2 covered car park bays for every unit of condominium. 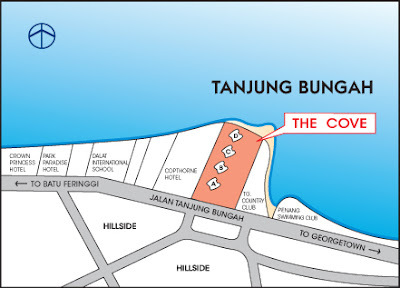 The Cove Condominium is located at Jalan Tanjung Bungah which is a suburb of the middle upper class residential area that perfectly matched your status. The immediate neighborhood are the Dalat International school, Crown Prince Hotel, Copthorne Orchid Hotel and Sandy Bay Paradise Hotel. 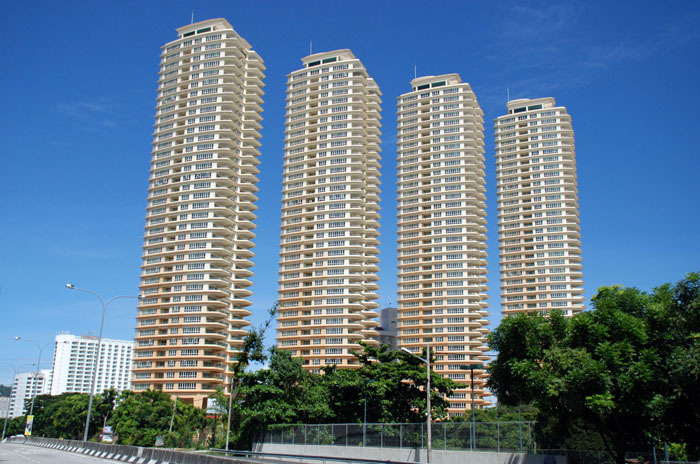 Driving time to City Centre 20 minutes & only 10 minutes to popular Gurney Drive Esplanade. Built-up Area : approx. 6,000sq.ft. 24-hours security, 2 covered car park, swmming pool, wading pool, putting green, gymnasium, sauna, community hall, landscape garden, tennis court, BBQ-pit, cafe/restaurant, smart security system.